Explore all the best coffees of the world and the most expensive coffees – from Bali to Zimbabwe, from the Congo to Kenya, Ethiopia to Papua New Guinea. Read about the exotic Arabica coffee’s flavors, aromas, acidity, tastes, body and other distinguishing characteristics particular to each coffee from all of the world’s coffee-producing countries. While each country will have it’s distinctive characteristics, some regions do share common characteristics. South American origins like Colombia coffees and Brazil coffees have milder flavours and are best suited for those who like a smooth drinking coffee, while Central American like Costa Rica coffees, El Salvador and Guatemalan coffees are more bright and acidic. African origins like Ethiopian coffees (Sidamo and Yirgacheffe) and Kenyan coffees tend towards more earthy and citrus flavors and are generally considered some of the best in the world. Finally, the Indonesian countries produce those with heavy spices, including Sumatra Mandheling coffee and Sulawesi Toraja coffee. Also included is information about all of the major green coffee growing regions and coffee processing methods as well as recommended roast profiles for particular gourmet coffees. While learning the nuances of the farming and processing is always interesting, coffee beans are best chosen based on flavor and natural preferences rather than processing methods. The farmers and local co-ops in each country use whatever method is most prevalent in the region and culturally accepted – often passed down for generations through families. Each method of farming, harvesting and processing can produce great quality coffees and the diversity is what makes it so interesting. 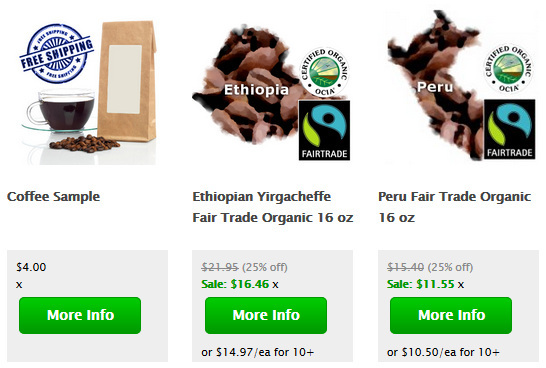 Prices for coffee beans vary between origins, within a single country and even year-to-year. These fluctuations mean that coffee prices are always changing , and while generally tied to quality, can sometimes be the result of shortages. Keep on top of both roasted and green coffee prices. 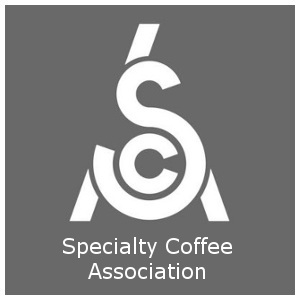 More great coffee information can be found in All About Coffee which covers all aspects of coffee from soil to sip. This includes coffee plants and green coffee beans from the coffee cherry, and full descriptions of all of the world’s top gourmet coffee beans including Organic Coffee, Fair Trade Coffee, Bird Friendly Coffee and Shade-Grown Coffee. As always, the key to a great espresso that is compatible with your espresso maker is to buy coffee fresh roasted – never one that’s been sitting on a store shelf for months. The longer a coffee sits after roasting, the more off-gassing (CO2 escaping) occurs, which will reduce the overall volume of crema. Coffee Terminology and A History of the Coffee Bean! Also check out the most comprehensive Coffee Terms ever written, and also the World’s Best History of Coffee. Thank You! for visiting Espresso Coffee Guide! There are many great tasting coffees from around the world and yes, I’m partial to Panamanian coffee because that is what we sell. People are familiar with Hawaiian Kona and Jamaican Blue Mountain so we are on a mission to get Panama coffee known on the same level because it is worthy having won numerous international cupping contests. What coffee brands are recommended from Panama? Hi, I hope I’m in the right place for this. I live here in the USA but my wife runs a facility in Norway. I’m interested in your products. DO you have an online catalog? Could you get back to me with your best pricing and availability. Just to let you know, they would be picked up by a carrier that shipped to my wife previously after I pay for them and when the order is ready. I look forward to your timely response.